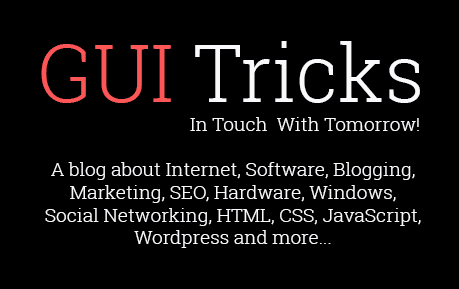 Benefits of PDF Unlocker over Manual Methods | GUI Tricks - In Touch With Tomorrow! Benefits of PDF Unlocker over Manual Methods - GUI Tricks - In Touch With Tomorrow! PDF stands for Portable Document Format and is used to store information in the form of text, hyperlinks, images, etc. A PDF file can be opened on different platforms irrespective of the Operating System. There are no hardware or software limitations for opening a PDF file. It can be used to store large amount of data and can be easily managed. PDF files are provided with document level security. If the size of a PDF increases a specific value, then it can also be compressed. The PDF files are secured with two different types of passwords. User Level passwords restrict the opening of PDF files while in case of Owner Level password; you are permitted to restrict the printing, copying or editing the document. If a file is secured with User Level password, the file gets encrypted and in order to open such files you need to provide the password. However, if you are unaware of the password or fail to remember it, you need to crack the password in order to view the file. The difficulty in cracking the password depends on the encryption method and strength of the password. On the other hand Owner Level password does not apply encryption to the file rather it restricts the users. Nevertheless, one can easily remove the Owner password, using “PDF Unlocker” software. How To Unlock A PDF File? Google Drive is a file storage service that is created by Google. It allows you to store documents on the cloud and access them whenever required. In order to access the Drive, you need to have a free Google account. The following methods are followed to unlock a PDF file via Google Drive. Click on the Gear icon that is provided on the top right corner in order to open the Setting Menu. From the upload setting option, select “Convert Text from Uploaded PDF and Image Files”. Click on the red button provided next to create a button for adding files. A drop down menu will open containing the PDF files. Select the files that need to be unlocked. The file will be uploaded by the drive and a test document will be created in the folder of the drive. Only owner level password will be removed. Original formatting will not be preserved. You can upload a file with a maximum size of 2 GB. Navigate to www.pdfunlock.com. A screen will be opened as shown below. You can either drag a file or select it from the local machine using My Computer. Click on Unlock button for the initiation of the process. After the completion of the process, the PDF file will be downloaded to the local machine. The PDF files gets stored to the Server, hence, there can be outflow of the file. It can unlock PDF files whose size is more than 5 GB. Unlocking of PDF files depends on the speed of connection. Select the files whose security needs to be removed. You can also browse for the required file. Browse to provide the destinations path to save the resultant PDF file without restrictions. You can even create a new folder to save the resultant file from the panel of the software. Click on Unlock PDF to initiate the process. The steps followed are quite easy and simple. The integrity of the file is maintained. Advanced algorithm is used to handle data in a secure manner. PDF Unlocker is a powerful application that removes Owner Level restrictions from a PDF file. It is equipped with distinguished features like; processing of files in batch (Business & Enterprise License), maintenance of hierarchy, and preview of security permissions. PDF Unlocker is prepared with the latest technology and concepts. Therefore, it handles the entire data in a secure manner. After removing the password, it allows users to select a desired location for saving the resultant file. Using the software, PDF files can be unlocked within a few clicks. Moreover, the software will save you from experiencing the long and tedious manual methods.